Chinese authorities in the troubled western region of Xinjiang have sentenced 19 ethnic minority Uyghurs to jail ahead of a sensitive political anniversary for alleged crimes linked to “religious extremism,” local media reported. 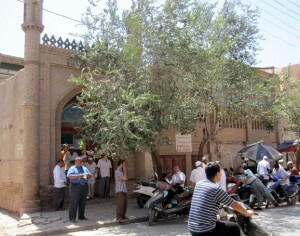 Overseas Uyghur rights groups, however, said the men had simply tried to inform the international community of the discrimination they face under Chinese rule and that the sentences were meant to send a message to Uyghurs in the lead-up to the anniversary of ethnic violence in the Xinijang capital Urumqi. Courts in the southern districts of Kashgar and Aksu handed down jail terms ranging from 2-6 years to 19 Uyghur defendants on Wednesday, the official “LawNet” website reported. A Uyghur man named Ehtem Heli was handed a six-year jail term and three years’ deprivation of political rights by the Aksu Intermediate People’s Court for illegal downloads of “religious extremist” material from the Internet, including incitements to “holy war” and videos containing incitements to racial hatred, it said. One of them, a Uyghur man from Maralbeshi, was held for 15 days and fined for downloading audio and video linked to terrorist attacks, as well as documents preaching religious extremism. 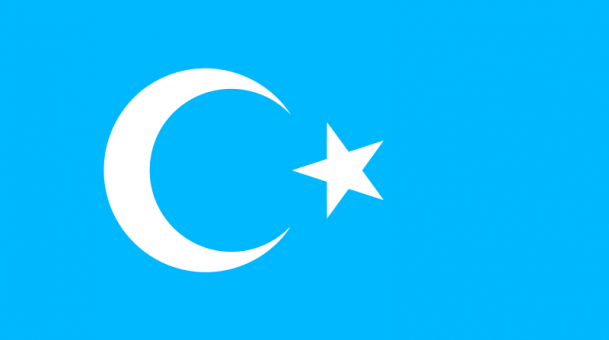 Dilxat Raxit, Sweden-based spokesman for the World Uyghur Congress (WUC), said the men had been jailed simply for writing about the discrimination suffered by Uyghurs under Chinese rule, however. “Local sources tell us that these Uyghurs who were sentenced were just using the Internet to tell everyone about the discrimination and oppression they suffered at the hands of the authorities,” Raxit said in an interview on Thursday. “Our Kashgar sources tell us that these people were denied their right to a legal defense, and that the authorities allocated a lawyer to them instead,” he said. “Once in court, they were already primed to accept the charges leveled by the authorities,” Raxit said. He said the authorities had stepped up security measures targeting Uyghurs in the run-up to the anniversary next month of deadly ethnic violence that rocked Urumqi in July, 2009. An official who answered the phone at the Xinjiang Uyghur Autonomous Region government’s foreign press office on Thursday declined to give further details of the recent sentences, however. “There are all sorts of reports on the microblogs, but we have no way to confirm them,” he added. However, residents and officials in Urumqi confirmed that tight security measures were in place ahead of the anniversary of the July 2009 violence, which left nearly 200 people dead, according to official figures. “Mostly, when we get to this time of year, the security gets tighter,” said a Han Chinese resident surnamed Lu. “In a few days, they’ll probably be shutting down the markets, the morning and the night markets,” he said. An employee who answered the phone at the offices of a neighborhood committee in Urumqi on Thursday said that anyone from out of town now had to register with the authorities using their ID card, and apply for a temporary residence permit. “Sometimes we enter people’s houses at night, and if we find anyone [from out of town], we make them register,” she said. The anniversary of deadly ethnic violence that rocked the regional capital of Urumqi on July 5, 2009 falls just ahead of the Muslim fasting month of Ramadan this year. China imposes strict controls on Muslims via religious affairs offices at every level of government, and children under 18 are forbidden to take part in religious activities, including fasting during Ramadan.